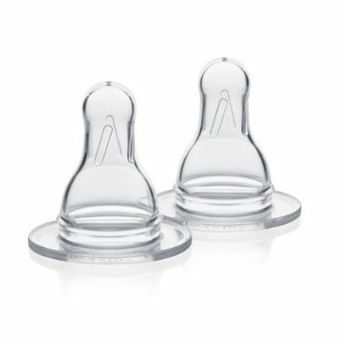 The Medela Spare Teats are perfect for bottle feeding your baby with a realistic substitute to breast feeding. The teats are made from a soft, durable, high quality food class silicone. They are resistant to high temperatures and can be sterilized. All Medela items are BPA free. Safe, long-lasting food grade silicone. Explore the entire range of Breast Feeding available on Nykaa. Shop more Medela products here.You can browse through the complete world of Medela Breast Feeding .Alternatively, you can also find many more products from the Medela Spare Teats - 2 Pieces range.